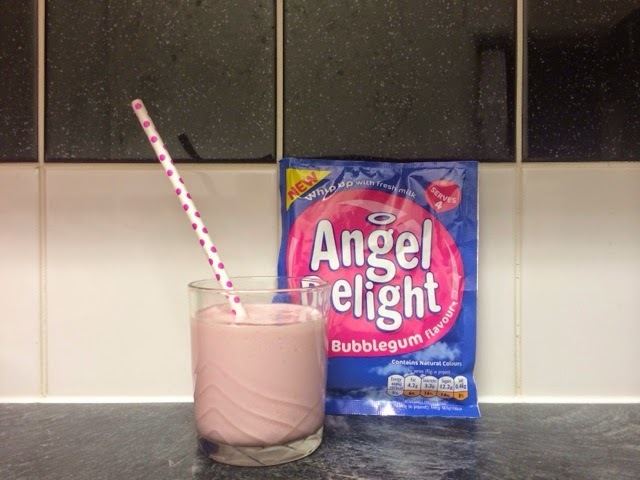 As huge Angel Delight fans we were absolutely delighted to try the New Bubble Flavour. 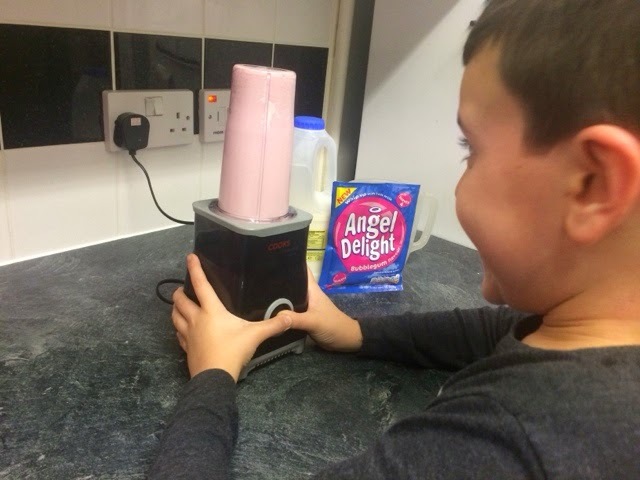 Angel Delight is a quick simple yet extremely tasty desert which has been a firm family favourite since 1967. 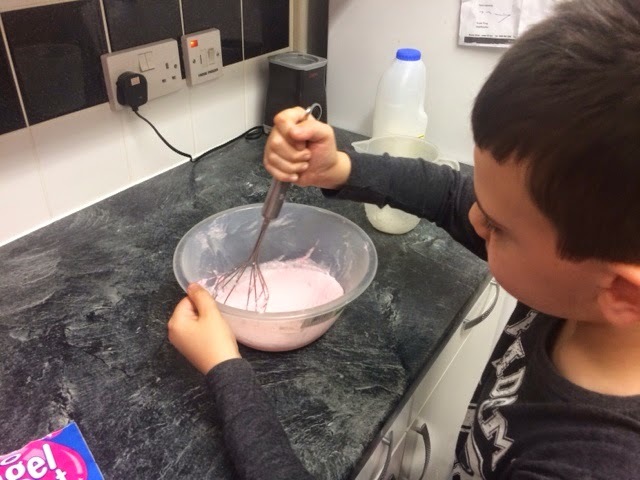 We blended up all the ingredients for a few seconds and we were left with a delightful Bubblegum thick and creamy milkshake, it looked amazing and tasted delicious,my son polished it off in no time, we really cannot wait to make this again, deliciously tasty. 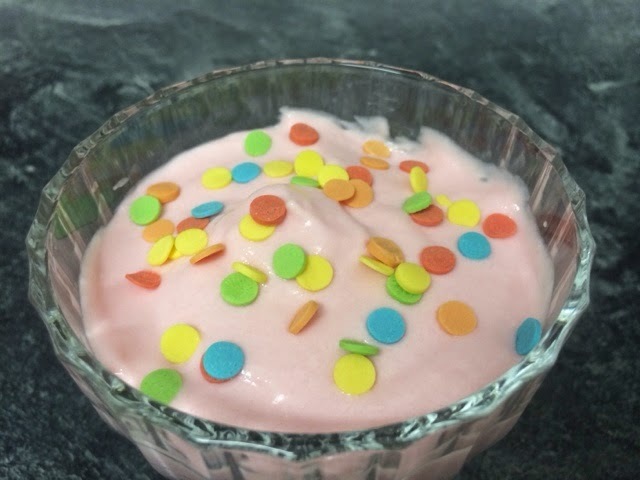 With the amazing delightful taste of Bubblegum, we were super excited and couldn't wait to make up the desert. 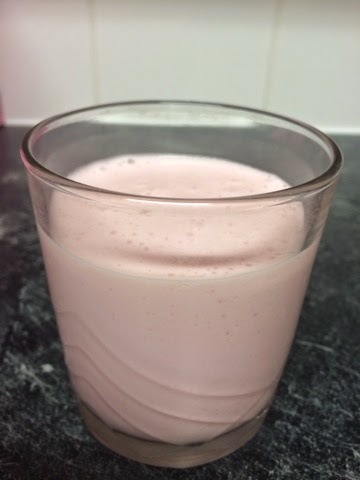 Following the pack instructions we added I packed of Bubblegum Angel Delight, followed by 300ml of fresh milk, we whisked until light and creamy and left to thicken for 5 minutes, it was that simple, quick tasty desert in less then 10 minutes. 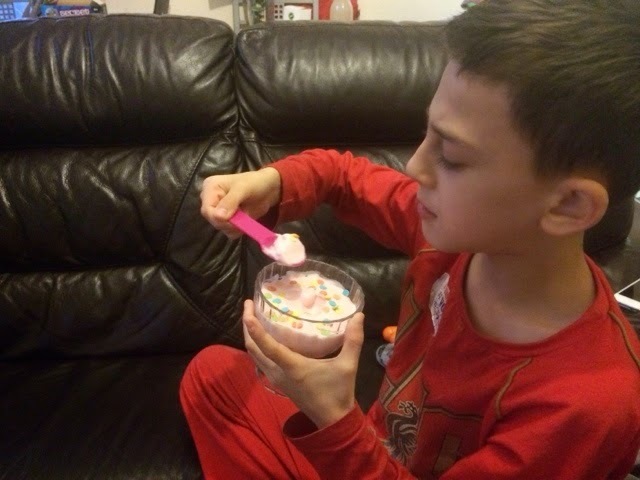 We added sprinkles to our Angel Delight and couldn't wait to tuck in. 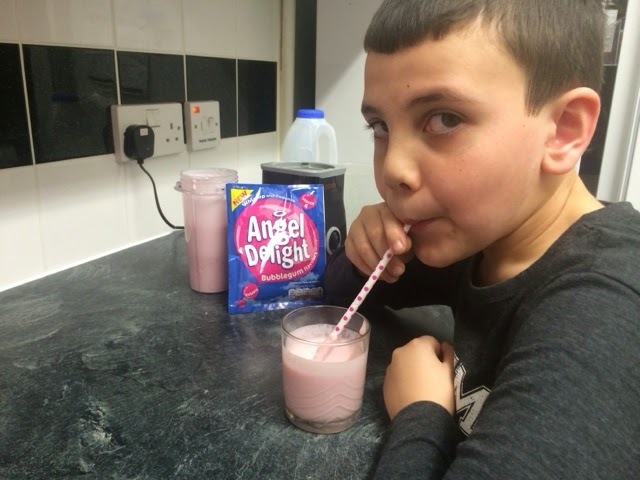 Overall we really loved the New Angel Delight Bubblegum flavour it tasted delicious and creamy and is very moreish. 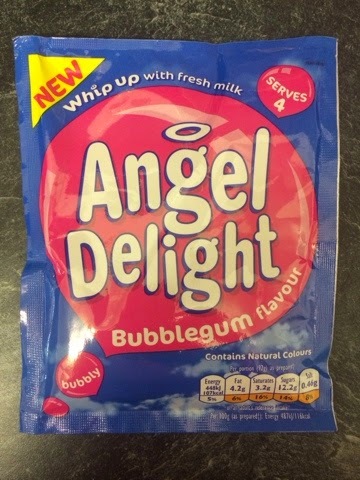 Angel Delight is available to buy from all good supermarkets, The new Bubblegum flavour was launched in Tecso last year. 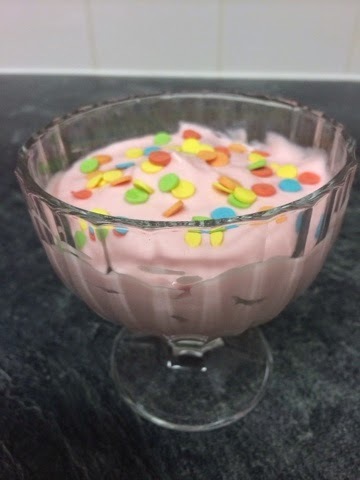 Angel Delight is made using only natural colourings and is suitable for vegetarians.